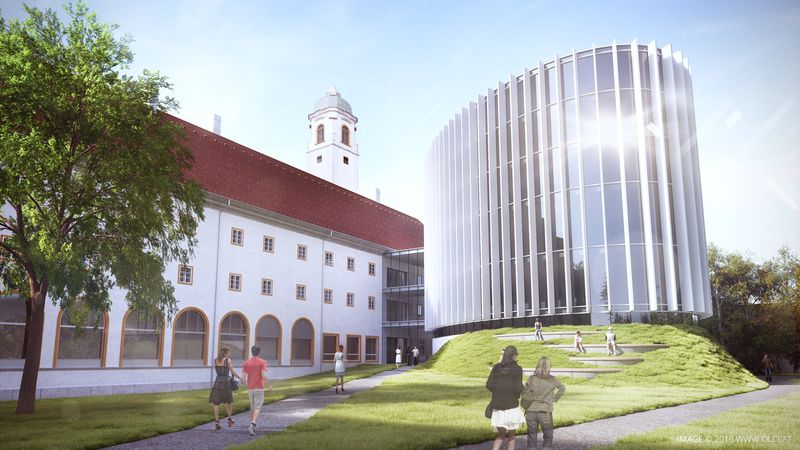 When the college of Wiener Neustadt needed more space for their students, they decided to go for a completely new way. 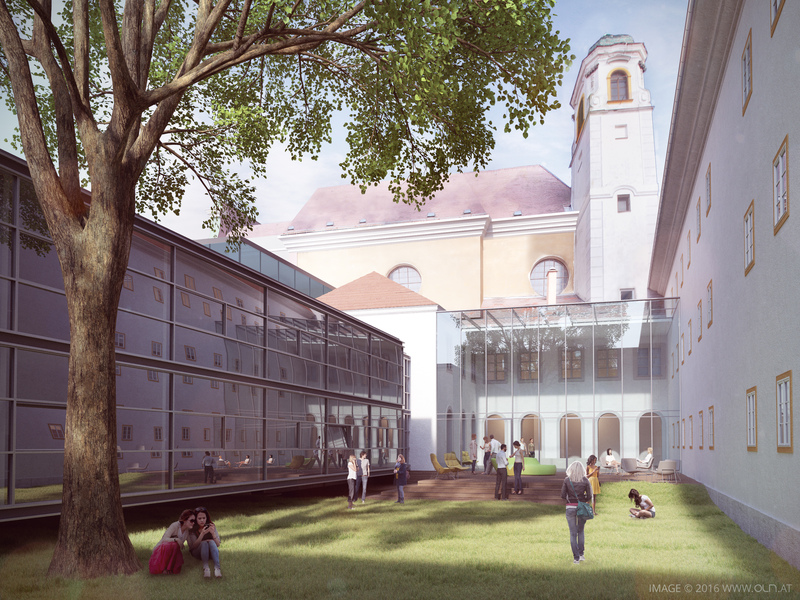 A 230 year old church will be the heart of the new college campus. The area has a size of 14.500 m2 and combines new and old buildings. The church will be kept preserved and used as a library. Architect, Karl Scheibenreif, won the tender for the construction project. 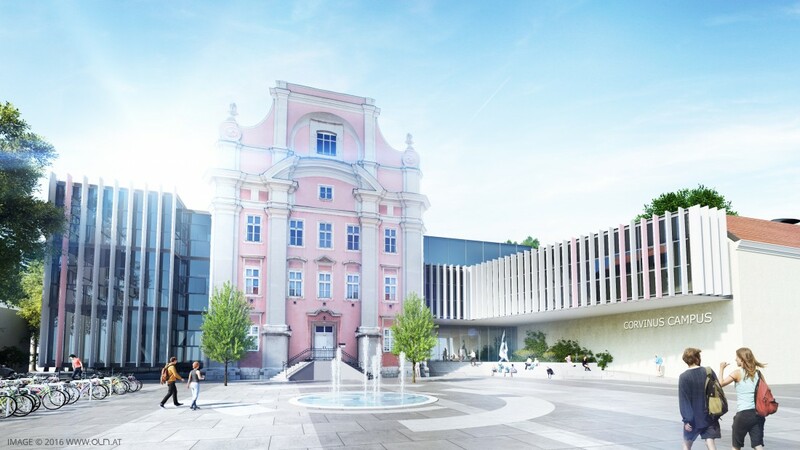 We were glad to visualize his vision of the “Corvinus Campus” – a combination of modern architecture and historical ambience.